Twenty-four D.C. area teachers, administrators, and students recorded stories as part of the National Teachers Initiative the weekend of August 20-21, 2011 at the Teaching for Change offices.Teaching for Change was honored to partner with the National Teachers Initiative, a project of StoryCorps, to host these 40-minute conversations about teaching with DC area public school teachers. It was a wonderful opportunity to highlight the experiences of social justice educators. While the conversations are open-ended, we suggested questions such as: Tell me about a life experience that led you to teach from a social justice perspective and/or teach a people’s history? 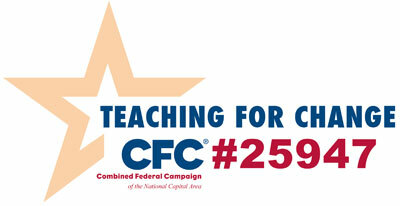 and What kind of school reform would you advocate to support your role as a teacher? StoryCorps’ goal to honor and celebrate the impact of public school teachers surpassed its mark with the weekend in Washington, D.C.
As many participants prepare for the new school year, they felt the StoryCorps recording allowed them to reflect on why they teach and what they hope students will gain. Amidst the recordings and photo opportunities (“I feel like a celebrity!” was a common remark), teachers appreciated the opportunity to have a moment of time, captured, for a conversation about the teaching experience. “I didn’t think we would have anything to talk about,” Olaiya, said to her partner Wendy Thomas, an ESL teacher at Eastern SHS, “but then we had 10 minutes left, and I couldn’t believe it. I realize we need to talk more.” Many participants left with smiles on their face, as they headed back to their classroom to finish prep work for the start of the semester. 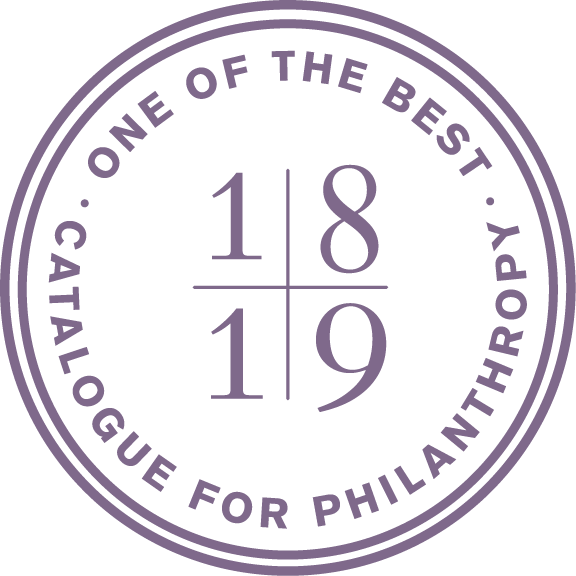 Each participant was given a CD to keep with a professional recording of their conversation. After the interview was complete, they were invited to sign a release so that their story could be archived for posterity at the Library of Congress. 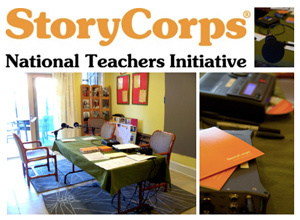 The StoryCorps’ National Teachers Initiative continues through 2012. 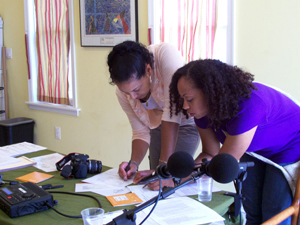 The DC weekend of interviews was coordinated by Lauren Cooper from Teaching for Change, working closely with StoryCorps’ National Teacher Initiative Coordinator Nicole Berger. 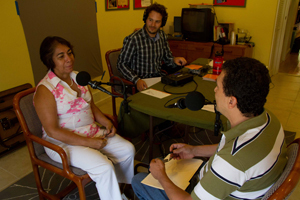 Matt Herman and Daniel Littlewood served as the StoryCorps facilitators. Jack Gordon and Rick Reinhard took select photos each day. 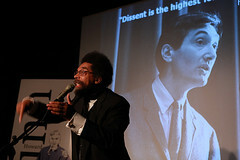 See photos on Flickr. We look forward to sharing excerpts from the conversations on the Teaching for Change and Zinn Education Project websites over the year.